Germany; Middle 15th Century. Latin Text; Angular Gothic Script. The Missal, written for the convenience of the priests, combined the separate books formerly used in different parts of the service; namely, the Oratorium, Lectionarium, Evangeliarium, Canon, and others. Gutenberg, who printed his famous First Bible about the time this manuscript was written, based his type designs on a contemporary book hand similar to this example. The craftsmen who created this manuscript had the difficult problem of evolving a harmonious page with two sizes of writing, inserted rubrics, and large and small colored initials. The smaller writing is used for the Orationes, the Psalms, the Secreta, and other parts of the service; the larger script for the Sequentia. 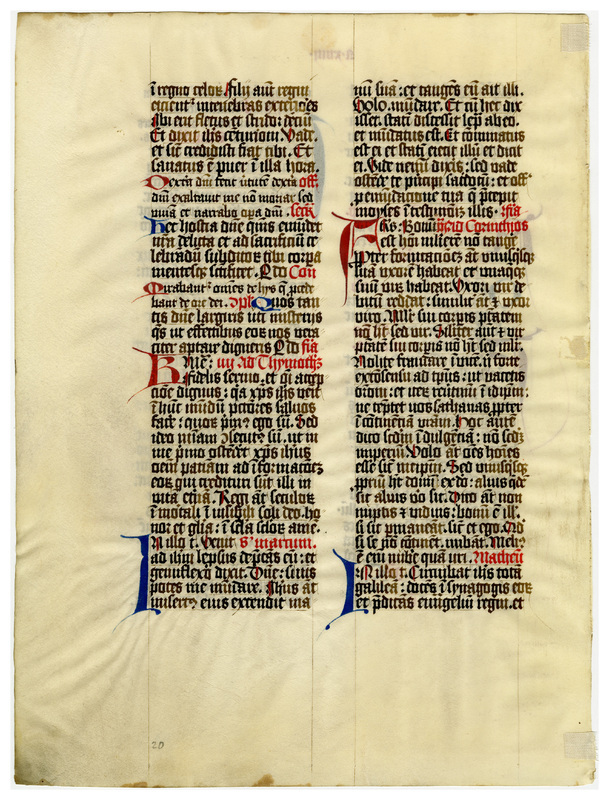 The main text of these large leaves is rendered in a dark slate-colored ink, with gradations that enable us to see when the scribe has dipped his pen. Some leaves include a striking ribboned capital letter in the top line highlighted in red. The first letter of each sentence is pricked in red, and each recto contains a red foliation (letter and Roman numeral) in the top center margin. 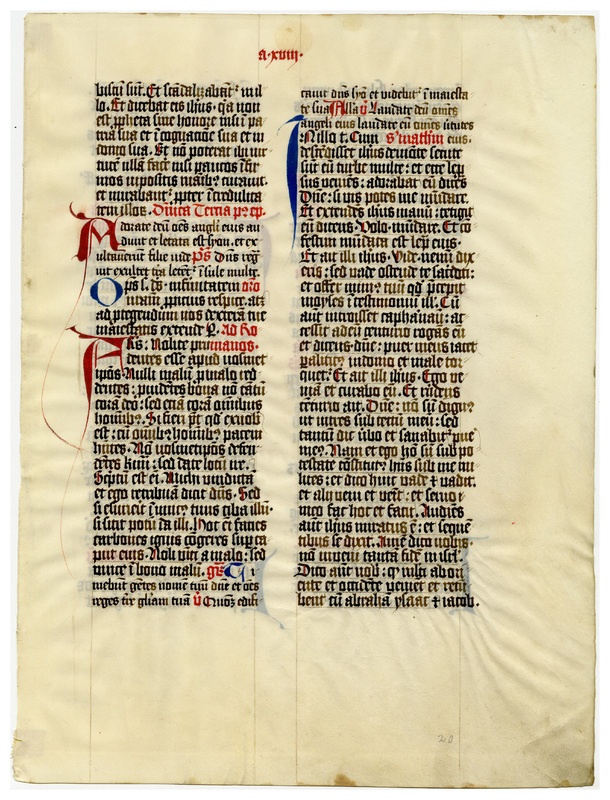 “E0033 Leaf from a Missal (Missale),” Digital Exhibits | Denison University Archives & Special Collections, accessed April 23, 2019, http://exhibits.denisonarchives.org/items/show/53.